I owe someone this recipe. Sorry it took me a while to post it, Mr. C.
To make the detrempe: Sprinkle yeast and sugar onto warm milk, give a little stir with a spoon, and let it rest for about 5-10 minutes until the yeast becomes foamy. In a large mixing bowl, mix flour and salt, then add yeast mixture and egg into the bowl. Mix all of the ingredients together with your hand until well mixed. Please do not over handling the dough, just give it enough mixing until all of the ingredients are well blended. 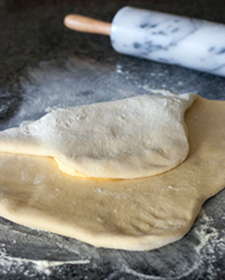 Transfer the dough to a floured surface, knead a little bit more and shape it into a ball. The dough will be sticky and spread out a little bit. Place the dough ball on a floured parchment paper, and refrigerate while you're making the barrage. To make the beurrage: Using a mixer, mix butter and flour until smooth. 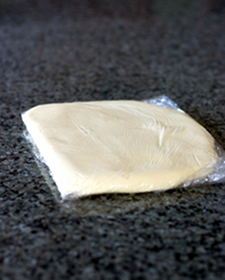 Transfer butter mixture onto a plastic wrap, shaping it into a flat square. Wrap the butter and refrigerate until the butter is firmer, about 20 minutes. 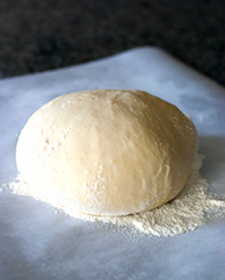 On a floured surface, roll out the dough into a thin circle. Place the butter block in the center of the dough. Stretching the dough with your hand, pull the top part of the dough, and fold it to cover the butter. Repeat the process with the bottom, left and right part of the dough, until you get a square envelope. Flip the square over, so that the flaps are facing down. 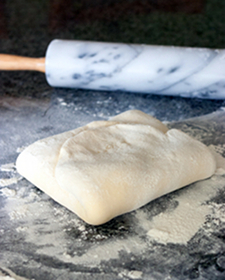 Using a rolling pin, flatten and roll out the dough into a large rectangle, sprinkle more flour if necessary. 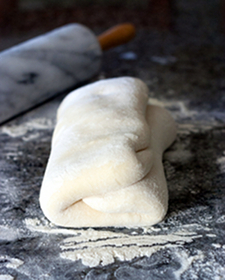 Fold the dough into thirds, by folding left and right side to the center. Transfer dough onto a lined baking sheet, and refrigerate for about 20 minutes. Repeat the process of rolling the dough into rectangle, letter fold, and refrigerate for 20 minutes in between foldings. In total, do 3 letter folds before final rolling and cutting. 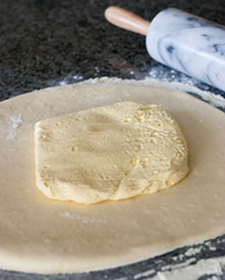 Roll out the dough into a thin large rectangle, about 1/2-inch in thickness. 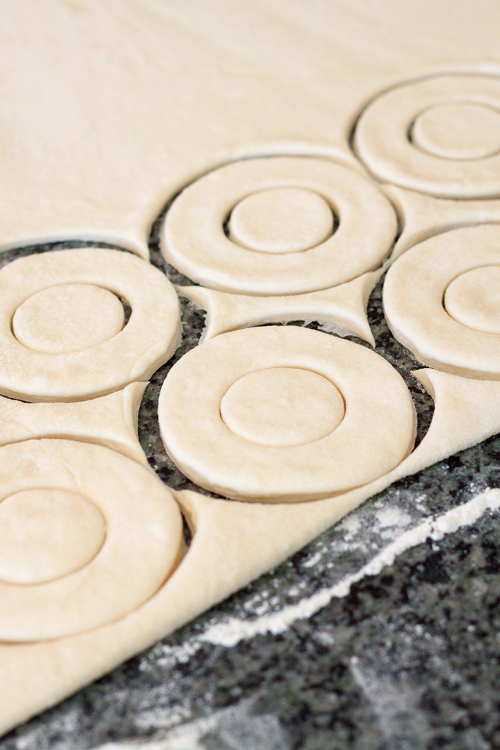 Using a 4-inch donut cutter (or cookie cutter), cut out the dough into donut rounds, and transfer them onto a lined baking sheet, spacing them about 1-inch apart. You should be able to get approximately 24 donut rounds from one batch. Place the baking sheets in a warm spot in the kitchen. Let the cronuts to rise (but don't let them double in size), for about 1 hour. Mix sugar and cinnamon in a large bowl until well combined. In a frying skillet, heat up oil over medium heat. 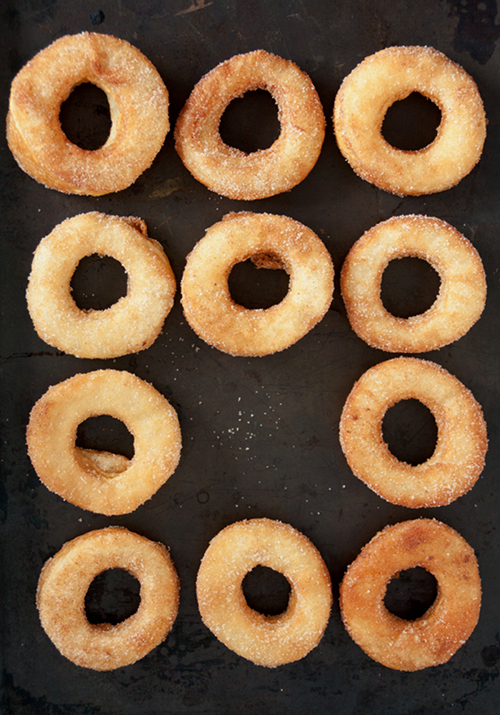 When the oil temperature reaches 350 F, fry 2 or 3 cronuts until golden brown, about 1 minute on each side. Transfer to baking sheet lined with paper towel to absorb excess grease. Continue frying the remaining cronuts. 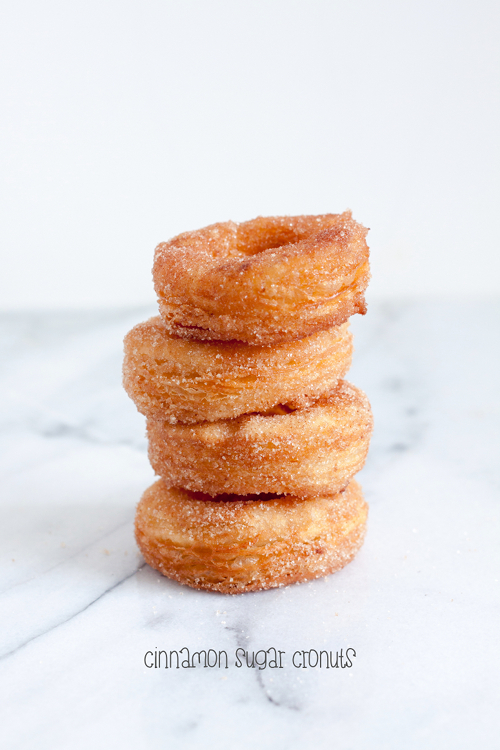 Dip each cronut in cinnamon-sugar mixture, cool down a little bit and serve. It is really interesting, I hope everybody lick this Post. wow, you even made your own sweet puff pastry cronuts, superb!!! I had one of these last summer while visiting Disney, and they are absolutely divine! We have made this recipe 3 times and it is a keeper!!! My husband would love me to make them every single day, but I save them for specials days or as a surprise treat, as it is a little time consuming (but sooo worth it)!!! تنتشر الحشرات في العديد من المنازل والشوارع حيث إنها من الأمور المزعجة والضارة على الإنسان ويبحث العديد من الأفراد على أقوى شركة مكافحة حشرات بالقطيف من أجل التخلص من هذه الحشرات المزعجة ولتجنب حدوث الأمراض والفيروسات بسببها ، ونحن من أقوى الشركات في القطيف التي تقوم على إبادة الحشرات بشكل فوري وممتاز فقط كل ما عليك هو التواصل معنا من خلال وسائل الأتصال الخاصة بنا وسوف نأتي إليك على الفور ونبدأ في مهمتنا على أعلى مستوى من تحقيق الجودة المطلوبة. نقوم على مكافحة حشرات بالقطيف من خلال استخدام أقوى المبيدات الحشرية القوية في التأثير على قتل الحشرات وآمنه على صحة الأفراد والأطفال الصغار حيث نقوم بمعاينة المكان المنتشر به الحشرات وبعدها يتم تحديد الوسائل والأدوات المستخدمة والمبيدات الحشرية ايضًا ونقوم برش الحشرات بالمبيدات الحشرية القوية حتى يتم قتلها بشكل نهائي ونتخلص منها بشكل سريع ومنجز في العمل بكل دقة وعناية. تتميز شركة رش مبيدات بالقطيف بالإنجاز والسرعة في العمل وتحقيق الجودة المطلوبة لضمان ثقة العملاء الكرام بالإضافة إلى أنها توفر الخدمات الحديثة في مكافحة حشرات بالقطيف وتستخدم أحدث أنواع الكشافات التي تساعد على طرد الحشرات وتقوم بمكافحة الحشرات بكافة إنواعها من حيث الزاحفة والطائرة ، تعمل على مكافحة النمل ومكافحة الصراصير بالقطيف بالإضافة إلى مكافحة بق الفراش ومكافحة الوزغ والفئران والثعابين وكافة الحشرات المزعجة.